Search Results for "drone flying around beach"
Local Kids Interact with Drone Flying Around the Beach. El Nido, Philippines. 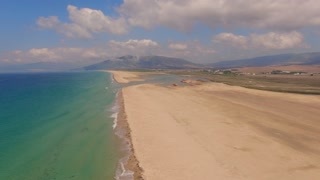 Aerial view of young man flying his drone around beautiful beach in Greece. 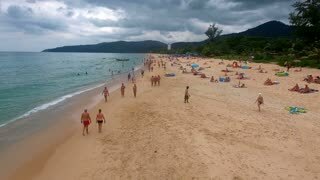 Aerial footage from the "Ao Nang Beach" near Krabi in Thailand. Drone is flying around a huge limestone rock and pointing towards the beach. Drone flying around tropical island in Maldives. White beach, water villas, blue water. Woman in crystal clear sea water drone view. Woman turning around yourself in transparent sea on paradise beach. Top view from flying drone over turquoise ocean. 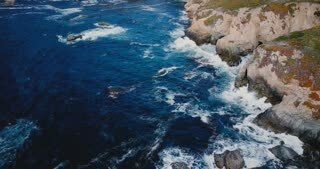 Cinematic Aerial Drone Shot Flying POI Circular Around Turquoise Crystal Clear Corals, CYC Beach Island High Elevation Showing Panoramic View of Ocean/Sea and Mountains. 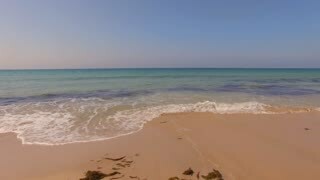 Cinematic Aerial Drone Shot Flying POI Circular Around Turquoise Crystal Clear Corals CYC Beach Island High Elevation Showing Panoramic View of Ocean/Sea and Mountains. Aerial drone flying a semi-circle around the Belleair Bridge off Clearwater Beach, Florida. A man sitting on a piece of driftwood on a beach landing a drone after flying it around a lake coastline. 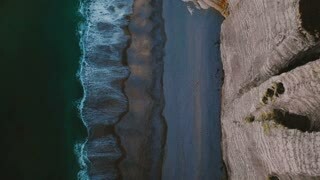 Drone flying left to right rotating around a road during sunset in Laguna Beach, California. Drone flying right to left rotating around pennisula of palm trees looking at sunset in Laguna Beach, California. Sunset time lapse on Thassos beach, Greece with unidentifiable people walking by and a drone flying around. Drone flying right to left rotating around pennisula with palm trees and city during sunset in Laguna Beach, California. Drone flying left to right rotating around pennisula with palm trees and city during sunset in Laguna Beach, California. 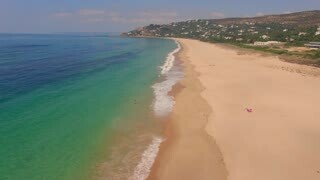 Drone flying low and slow across a shaded rocky sandy beach as small waves was in around the rocks. Aerial view woman in turquoise sea water. Woman turning around yourself in crystal clear sea water on paradise beach with. 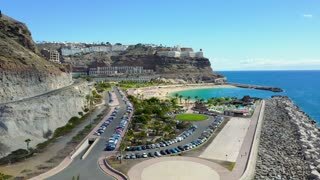 Top view from flying drone. 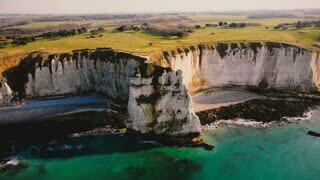 Drone flying above idyllic azure sea shore and epic white chalk cliff ridge in sunset sunshine near Etretat, Normandy.